Bob Dylan & The Oregon Trail inspired these 2 math problems. Can you solve them? Mathematics is the academic class that is most socially acceptable to regard as your weak point. This is a shame. Mathematics is the academic class that is most socially acceptable to regard as your weak point. This is a shame. 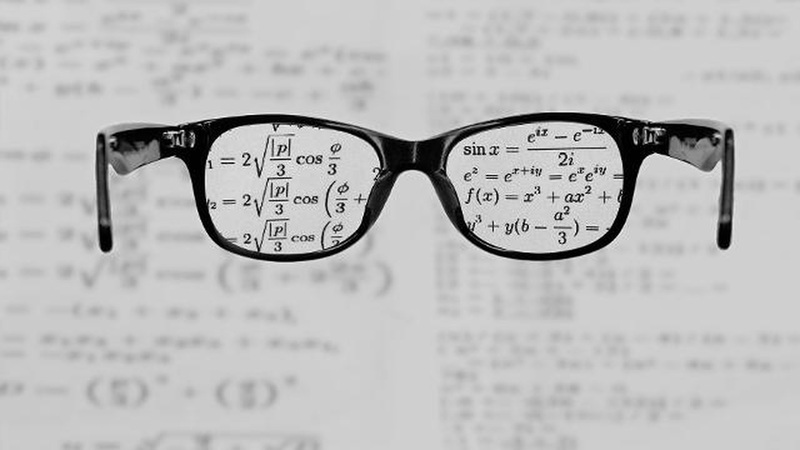 While math can be difficult, the skills relating to math, such as problem solving, lateral thinking, and diligence, are excellent skills to have. For many people, if they didn't master mathematics in school, it can seem too late. A new startup seeks to solve exactly this problem. Expii.com, founded by Hertz Foundation Fellow Dr. Po-Shen Loh, is full of math problems designed to help anyone improve not only their math skills, but their critical thinking skills. The problems at expii.com are often less based on arithmetic, and more on problem solving in general. The concept is simple: solve a few problems per week related to a theme, such as Star Wars or Pokemon Go. Different methods of learning are encouraged, and help is always at hand. But, why make a math tutor site like this? Why not make it more like a classroom? Dr. Loh noticed that his younger students often related problems back to what they knew, asked each other for explanations, and solved problems according to their own styles as needed. If there was something they didn't know, they just asked for help with the problem area. “Now, I actually think that [mathematics is] accessible to everyone. I think that actually one reason mathematics is difficult to understand is actually because of that network of prerequisites. You see math is one of these strange subjects for which the concepts are chained in sequences of dependencies, meaning if you miss a few concepts along the chain you can actually be completely lost. For example, if you cannot add fractions it would be very difficult to solve an equation once fractions appear in it. And the quadratic formula, which has fractions, is then impenetrable. Now, when there's this long chain of prerequisites it actually makes the subject more fragile when you're learning it. If, for example, you're sick for a week or if your mind is somewhere else for a week you might make a hole in your prerequisites. And the way that education often works, where it's almost like riding a train from a beginning to an end, well it's such that if you have a hole somewhere in your track the train is not going to pass that hole." Which is why Expii.com exists, to allow people to find the parts of mathematics that they don't understand and work from there. Math and science can be fun, if they are taught well. That was the realization and, above all, the goal. Here are two sample problems, both beginner level, and ones that might make you feel just a tinge more prepared to try learning math again. Problem #1: You have traveled west on the Oregon Trail, survived dysentery, and have staked your claim on a new plot of land. You have 4 miles of fence which you can put in any shape you'd like to mark your territory. Which shape will give you the greatest area? A screenshot from the 1970s computer game The Oregon Trail. If you would like to offer an answer and see if you are correct, the question can be found here. Here's another stumper, this one inspired by Bob Dylan. Problem #2: The 2016 Nobel Prize for Literature was won by rock and roll poet, Bob Dylan. One of his most famous songs, “Blowin' in the Wind", opens with the signature line, “How many roads must a man walk down, before you call him a man?" While the answer may be blowing in the wind, we can estimate how far a person would walk over 80 years. A moderately active person takes around 7,500 steps per day. Which of these is closest to the total distance walked over that time? This is a Fermi problem, named after famed scientist Enrico Fermi. The goal isn't to get an exact number, but rather to be in the ballpark of the right answer. Go on, give it a try, here is the link to the question when you think you've got it. You can do it, that is what the good doctor knows and wants you to know. It's not a question of having to use the math every day, but the problem solving that goes along with it is a vital skill. Go on, give it a try. Thanks to a group of children working on math problems together, Dr. Loh, and the internet, anyone can learn how to solve math problems.